Please note that there are no toilets, rubbish bins or suitable sources of drinking water and the walking track is closed for lambing during September and October. Honeycomb Rock is a spectacular outcrop on the Wairarapa coast, named for its remarkable cell-like weathered pattern which gives the rock a honeycomb appearance. A few metres to the south of Honeycomb Rock is the shipwreck of the Tuvalu, a Fijian trader, which ran aground here on its maiden voyage on 11 January, 1967. A NZ fur sea colony is located about half way along the walk. Fur seal numbers peak during winter when they gather to rest and feed. Honeycomb Rock walking track is entirely within the privately-owned Glenburn Station so please keep to the marked track and do not interfere with or disturb stock. The track is flat and easily negotiated, following the coastline across farmland. Glenburn Station, the start of the walkway, is about one hour east of Masterton. Follow the Gladstone Road to the Te Wharau Road junction about 1 km north of Gladstone. The road is signposted to Glenburn from here and passes through Te Wharau Settlement. 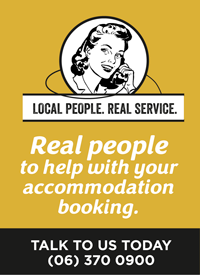 Glenburn Station provide a range of farm stay accommodation options. 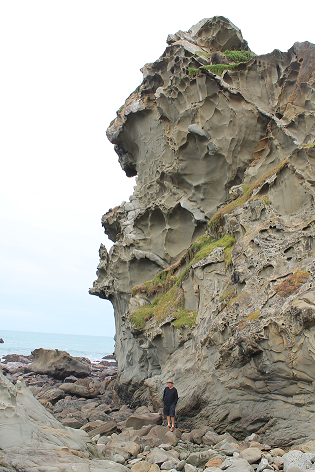 Another magnificent rock formation is the badlands at Putangirua Pinnacles.